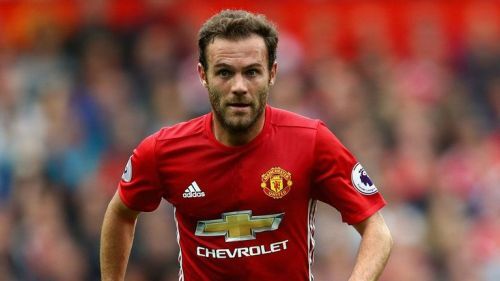 Juan Mata has scored some crucial goals lately. Jose Mourinho has spent more than £400m in transfers since he took charge of Manchester United in 2016. He brought the likes of Zlatan Ibrahimovic, Paul Pogba, Romelu Lukaku, Eric Bailly and few others to Old Trafford. Still, the manager looks uncertain of his starting XI and not being able to get the best out of his team so far. The acquisition of Alexis Sanchez in January last season gave United fans some hope of a title challenge in the current campaign. However, the Chilean has looked a shadow of himself since joining from Arsenal and reportedly wants to leave Old Trafford at the end of the season. Players like Nemanja Matic are out of form but still getting selected week in and week out mainly due to favoritism. The Serbian put up some stellar performances in his debut season at United, but he has looked slow and lacking match fitness from the start of this campaign. 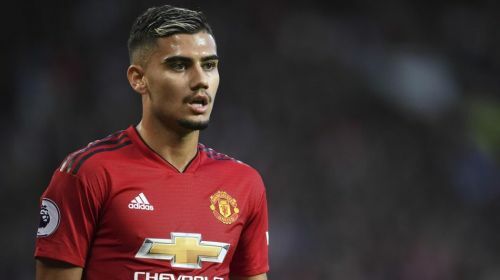 However, there are players like Andreas Pereira who can play in a central defensive position in place of Matic and also provide the team an attacking edge which Matic lacks. Manchester United got criticized against Manchester City for their lack of creativity in the midfield. However, Jose had Mata as an option but didn't start with him. There are a couple of other players who have the quality and the potential but more often than not made to sit on the bench by the manager. Here are the three players who deserve to get a more first-team opportunity at Manchester United. Pereira is reluctant to stay further at Manchester United. Andreas Pereira signed for Manchester United when Sir Alex Ferguson was still the manager of the Red Devils but made his first Premier League appearance in 2015 under Louis Van Gaal. He could not cement a regular first team place and was loaned out to Granada and Valencia respectively. Pereira spent the entirety of last season on loan at Valencia where he put up some decent performances and drew praise for his long-range shots. Despite being a central midfielder, he has an attacking instinct which could be very useful for Jose Mourinho's side at the moment. The lack of game time has prompted Pereira to consider his future at the club. It will be a massive loss of talent if United let him go, and the only way to make him sign a new contract is to give the Brazilian more first team chances.